Water birth is a transforming step into motherhood as well as an incredible way to manage the waves of pain in labor. Some women have even said that in comparing their water birth to their birth laying in a hospital bed freeing and empowering. 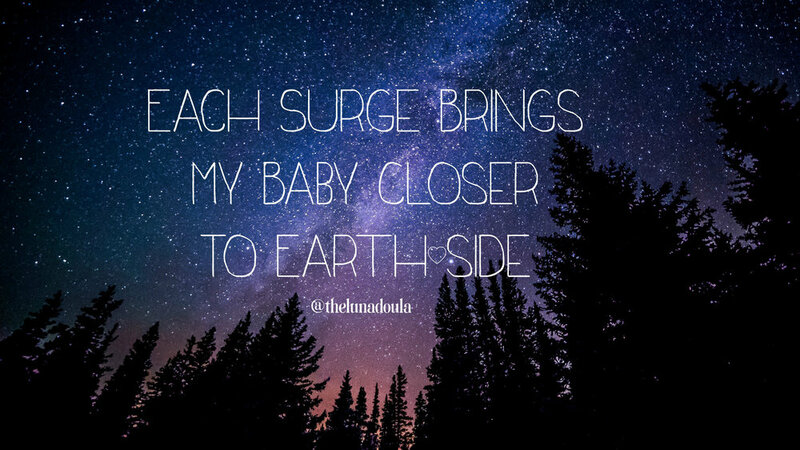 The ability to have control over their body while bringing their baby earth side being one of the many benefits to a water birth. 72.3% of women who had waterbirths stated that they would certainly choose this method of giving birth again. Being in the water allows your pregnant body the relief of buoyancy. Changing positions much easier and letting your body float between contractions if you wish is much added pain relief. Decreases chances of unnecessary medical intervention. During my water birth, just the first 5 minutes through the hard waves of contractions I immediately noticed the difference in my pain tolerance. Although my body has a high pain tolerance and given that I have a history with precipitous labor, the pain relief of just being in warm water was indescribable and much easier to manage my pain. I would recommend a water birth to any of my friends, family and clients. Giving birth in water, rather than labouring in air is a relatively recent development in the Western world. The first water birth in Europe that we know about was in 1803 in France. A mother whose labour had been extremely long and difficult was finally helped to give birth in a tub of warm water. In the 1960s, the Russian water birth pioneer Igor Tjarkovsky experimented with babies being born into cold rather than warm water. His thinking was that this would help protect the baby's brain and enhance the baby's cognitive abilities. Understandably, this approach to water birth didn’t last long! Next, in the 1970s, some midwives and doctors in France became interested in ways of helping babies make the transition from life in the womb (uterus) to life outside as smoothly as possible, by using warm water. Their concern was that modern maternity care, with all of its interventions, was making birth traumatic for babies. Some doctors, including French obstetrician Frederick Leboyer, thought babies could be affected for life by the way they came into the world. Leboyer's approach was to use a warm bath for the newborn baby a short time after the birth, after a period of skin-to-skin with the mother and a natural third stage. Leboyer's work influenced our next water-birth champion, the French obstetrician Michel Odent, who installed birth pools in each room at the birth unit where he worked in France. Odent noticed that as well as helping women cope with the pain of childbirth, being immersed in water seemed to help labour progress. He found that water births also seemed to offer babies a more peaceful journey from the womb into their mums' arms. Babies are bathed in warm water as they emerge from the birth canal, and the pool environment feels similar to the enveloping warmth of the womb. Doctors and midwives noted how calm babies were after they had been born in water. They cried less than babies born in air. They appeared more relaxed and were eager to have eye contact with their mums and to breastfeed. 1. She is with you every step of the way - 100% percent of the way. Aside from mutually agreed upon naps incase of long labor Doulas are ABSOLUTELY with you the whole way. If you choose to birth in a hospital or medical center that has rotating shifts, when your nurse or doctors shift ends your doula is still there by your side. You dont have to worry about meeting a completely new person the same day you are about to go through a the biggest life change you've experienced thus far. Your doula will be there for you and your partner and family. 2. Faster labor - Studies have shown that for mothers who have doulas attend their birth that in fact their labor is 25% percent shorter than mothers who do not have doulas. The continuous non-stop support that women do need also decreases the chances of unnecessary medical interventions. 3. Helping prepare for birth - Whether your a first time mother or your a mother of 6 preparing yourself mentally, physically and emotionally for birth is so important. Doulas help do this by reminding the mother to eat and drink well. Exercise and being sure to do things that make you happy. They also help the mother prepare herself for birth by giving her suggestions or ideas of how she may want her birth to go. The little details that can be so important like delaying cord clamping, eye ointment applied or your wishes on vaccination. Doulas are awesome and can be super helpful in times like this. 4. Gentle reminders of your birth plan - Labor is hard. Its just the way it is. And when it gets tough and you dont have a support system there with you it can sometimes feel like you never had a chance to have the birth you wanted. When I was in labor I constantly remember doctors and nurses telling me to get an epidural when I was breathing through contractions not supporting me in my desires for a natural birth. It is so relieving to have someone there with you who can gently remind you that this is hard but it won't last forever and they breathe with you and feel your pain with you and facilitate your birth to help you have the birth you want. 5. Informational, Emotional, Educational and Spiritual Support - You can never have enough of support and a doula is a trained professional in doing all of these wonderful things. She knows her stuff and is always prepared to cater to the specific individuals no matter the circumstance (assuming it is not medical). Your doula is very knowledgeable about the birth process and the emotional and physical changes that you will be experiencing. Knowledge is power. 6. She sympathizes with you - She feels your pain with you. She is willing to do whatever it takes to get you through your birth. If it means sitting behind you fully clothed in a tub full of water during your birth she will do it. She is there to give you powerful words of encouragement and remind you that your body is capable of giving birth. 7. Boosts your confidence - Giving birth is a life changing experience and you need all the confidence you can have. 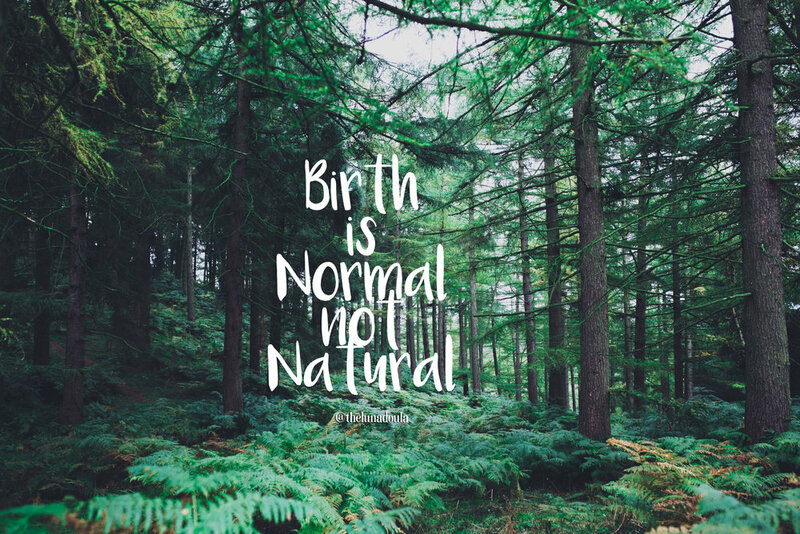 Your doula is there to give you positive and loving affirmations during the easier and more difficult times during labor reminding you that your body can bring a beautiful human into this world. 8. Reduces chances of cesarean section - Studies have shown that having a doula in attendance of your birth reduces the chances of having an emergency cesarean. According to research published in the American Journal of Public Health women who have a doula at 40% less likely to have a cesarean section. In a study from Dr. Marsden Wagner - Past Director of Women's and Childrens Health - World Health Organization has said that cesarean sections have increased from 10% to 20% from 1990s to 2000s during Monday through Friday. Having a doula also helping facilitate your birth increases your chance of not having unnecessary medical interventions. 9. She will not judge you - " The 3 B's - Not My Birth, Not My Baby, Not My Body ". One thing I learned going through my training as a doula is that leaving your ego at the door is the first thing you need to do in a birth. Your doula is not here to make decisions for you, she is there to help guide you and facilitate your birth. She wants nothing more than for you to have the birth you dream of. Whether you want an induction and epidural or a water birth at home. Your doula does not care as long as you are happy. 10. Coping Techniques - There isn't a mother in the world that during labor wouldnt give everything she has to avoid or decrease in some way the pain she is feeling. Its difficult but its apart of labor and it will bring your baby into the world. With that being said Doulas are trained professionals knowing how to decrease pain in labor without the use of drugs. From different labor position, massage, aromatherapy, hypnobirthing and more doulas are so knowledgable in comforting and encouraging laboring mothers and their family as well during the difficult times of labor while tailoring all her support to their specific individual needs. 11. Extra help - This is a big one. Doulas can be there for you to help you through your labor contractions by doing hip squeezes and massages or they can be there for your husband who gets nervous about birth. Perhaps you are a single mother or your partner cannot be there with you for your birth and you just need someone to hold your hand. They can also help with children, doing things around the house. 12. She can offer a variety of services. 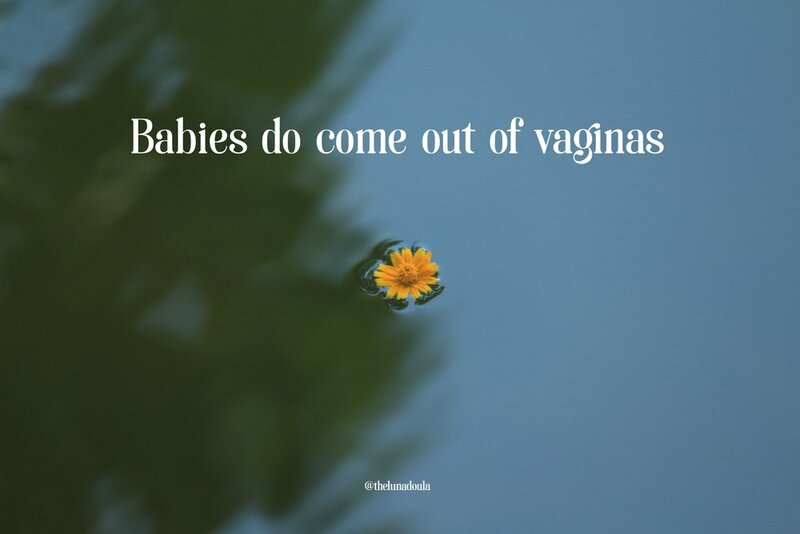 - Doulas come from all walks of life. They can offer a variety of services like postpartum care, placenta encapsulation and placenta art, photography for maternity, labor and birth as well as newborn photos. Some Doulas are trained and can offer bereavement skills for mothers who have expected a loss of a child. There are also many doulas who trained herbalist, aromatherapist, Hypnobirthing practitioners, belly binding, lactation specialists, child birth educator, spinning babies and rebozo trainers and so much more. The list is endless and there are many doulas out there that are a jack of all trades. Its like a one stop shop doula who can offer you all things you are looking for which in the end makes thing so much easier on the mother. Doulas are fairly new to the birth world but in reality they have been around for centuries. 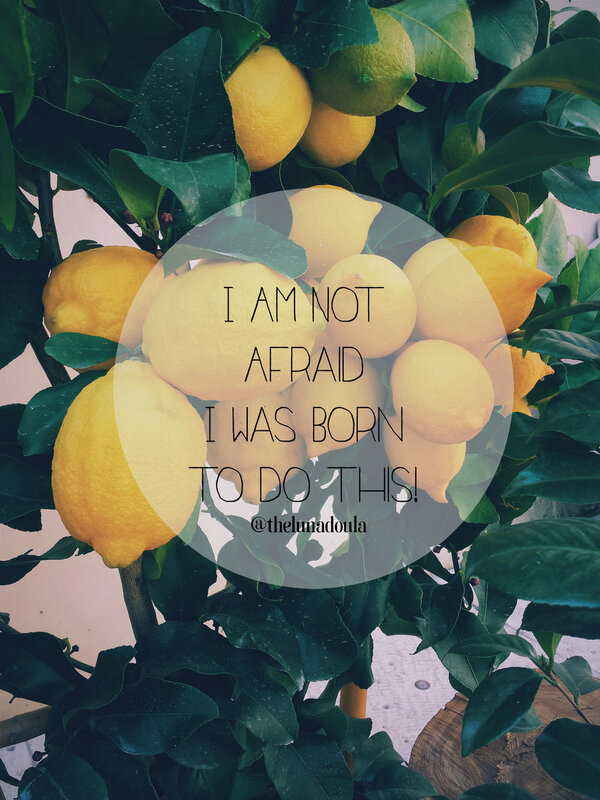 They may have not been called Doulas but they certainly believe and did the same things they do today. To be a doula you must be okay with serving those around you and sometimes that comes at a cost. But to simply put it, we do what we do because we love it, we love the mothers we love their babies and we love the beauty and process of birth. We love what we do. To download and print these mantras just right-click and save. These Photos are not mine but are from www.unsplash.com and are free to use by anyone, anywhere at anytime. I did create the mantras to help reinforce the normality, peace and positivity within the birth space.